Professional Resume writing, coaching and LinkedIn Profile development services that lead to interviews and ultimately, your job transition success. Since we updated my resume, which led me to update some of my LinkedIn information, I have been getting more recruiters contacting me with statements such as, “You have one of the most impressive resumes we have ever seen”. I can assume the messaging you created is doing the work that I want. With 25 years of corporate experience, we know what employers are looking for in a Resume, LinkedIn Profile or interviewing candidate. Every day we work with clients 1-on-1 to create powerful, professional messaging and marketing tools and to support personal progress. Our specialty… Guiding clients to take ownership for their strengths and value, writing custom Resumes and LinkedIn Profiles, and improving client interviewing skills. Using the Resume Guru’s proprietary process, we guide you through a discovery process that defines your professional brand and value to an organization. Then, we develop a compelling Resume that portrays that value, targets the job opportunities you want, and opens the door to interviewing success. By the end of your Resume development process, you will experience a renewed sense of confidence and job search motivation, and you will be more prepared for the interviewing process. Really. We collaborate with you to build and activate your personalized LinkedIn Profile page. Lisa is a skilled leadership coach, mentor and an expert at crafting effective resumes and Linked In profiles. Lisa makes a personal connection with everybody she interacts with enabling your strengths to shine through. She utilizes her corporate experience in her client’s development so that their goals can be achieved. I have referred several clients to Lisa and will continue to do so. She is truly a talented professional. 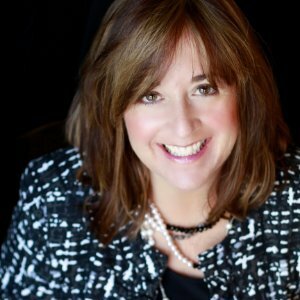 – Pam Brann, Senior Manager, Risk Management, Nissan North America, Inc.
We customize the workshop materials for your organization and provide training delivery and facilitation in your company environment. Guru – What is at the core of the word? A Guide, Teacher, someone who Initiates for you to challenge yourself and guides you to better yourself. I have had the honor of working with and spending time with Lisa so she could understand my passion and how I work to build relationships and bring fundamental old school practices to a high tech world. Lisa takes the time to listen, understand and ensure she can portray the essence of what makes people tick and transfer that to a resume that essentially speaks to the core of who we are. This is a skill which is falling to a select few who are Guru’s and Lisa is in that upper echelon. She is a great listener, portrayer and someone who I am privileged to have collaborated with and look forward to seeing how she continues to build those relationships and initiate change. Consider me your ‘partner in progress’ – your Resume and LinkedIn Profile Writer and Career Transition Mentor. After 22+ years in Corporate America, I discovered my favorite work and am living my destiny! I provide personalized writing and coaching services and craft customized, effective Resumes and LinkedIn Profiles that result in interviews and job offers. ​​My personal approach to each and every client project sets me apart. If you have attempted to write your own Resume or LinkedIn Profile, you know how tough it is. Call me. This is what I do. I thoroughly enjoy connecting with people and supporting career progress. I work with Hiring Managers and Executives everyday, and I know what it takes to get results in today’s job market. I look forward to meeting you! Wow! Lisa is amazing and she created a resume for me that is exciting, unique and really shows what I am passionate about. I could have never done this on my own. Lisa was quick, efficient and I have a resume I am proud to send out. One of the recruiters even commented on how great it looks. Lisa did a great job, even coaching me on steps for my next career. Her services are well worth the reasonable investment – I highly recommend Lisa if you want to make sure you get your next best job. Thanks again, Lisa.